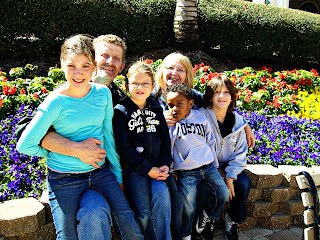 Busch Gardens with Dad, Bren, and the kids was a great time of fun and bonding. Its amazing to watch the kids hanging with their grandparents. My favorite quote of the day came from my "bonus mom" when she pulled me aside and whispered "Thank you for making me a Gramma". Made me all teary. Gosh, I don't even know her and that made me get teary eyed.